Sisters Zena and Mena Nasiri founded Girls of the Crescent to get more books featuring Muslim women characters into libraries and classrooms. What do you do when you’re looking for a certain type of book in the library and you come up empty-handed? Sisters Zena and Mena Nasiri first experienced that dilemma in fourth grade. A research project required them to read about someone they looked up to, but when they went to their local library to find biographies about Muslim women they admired, they couldn’t find any. It was the first time they realized that the libraries in their community had a serious lack of diversity, particularly when it came to the narratives of Muslim women. The two came up with a solution to that problem years later after reading The Lines We Cross by Randa Abdel-Fattah. It was the first book Zena and Mena had ever come across that featured a Muslim woman as a main character. “It brought us memories back from fourth grade, and that inspired us to start a nonprofit 'Girls of the Crescent,’ where we collect books with female Muslim main characters and then donate them to schools and libraries,” Zena said. Supported by fundraising, ranging from bottle drives to website donations, the girls purchase a wide variety of biography, fiction, and nonfiction books to donate. The sisters have raised more than $4,000, and have donated around 500 books to public libraries and individual classrooms. As avid readers themselves, the sisters understand the importance of seeing yourself represented in the books you read. “It kind of gives us a sense of being included in society because if children grow up and they don’t see themselves in the media, or they don’t see themselves in books, it shows they’re not really included or they’re not shown in society," said Mena. 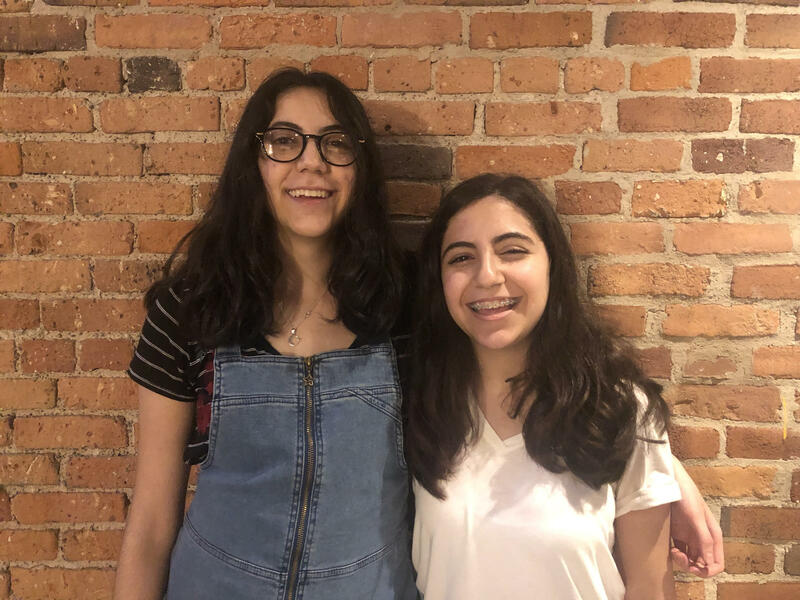 Mena and Zena say they want to get books featuring Muslim women and girls into every classroom in their district, and eventually all over the world. Stateside’s conversation with Safia Hattab, a Hope College freshman who wrote about her Muslim experience in West Michigan in an award-winning essay. Hope College is a small, private liberal arts college near Holland, in West Michigan. It was founded in 1862 in partnership with the Reformed Church in America, so its Christian identity is central. Stateside's conversation with Lisa Vogl, founder of the Verona fashion line. Macy's has rolled out a new fashion line called Verona. It’s aimed at Muslim women who want Western-style clothing and hijabs, or headscarves. Founder of the Verona Collection is Lisa Vogl, a fashion photographer who grew up in East Lansing. She converted to Islam in 2011.